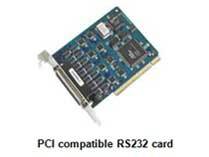 RE 93 has standard RS 232 port for PC communication. 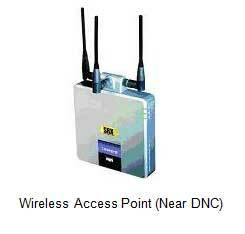 It has transmit and receive line and has Xon Xoff protocol. 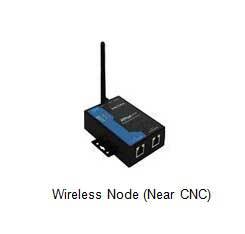 RS 422 also can be incorporated with one additional converter. 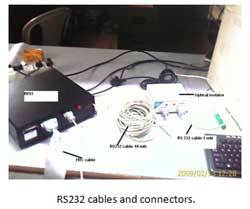 RS 232 port of RE 93 is optically isolated from ground. For Reader / Punchar connection RE 93 has two ports called input port and output port. Both are 25 pin D type connectors. Input port is for connecting existing reader. If reader is connected to this port, paper tape can be read and store into RE 93 memory. 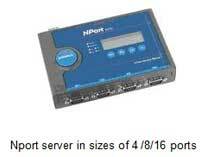 If puncher port from CNC is connected to this port, NC data sent by CNC to puncher port will be collected by RE 93 and store electronically. 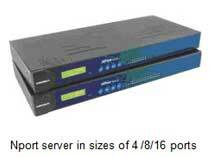 Data stored in RE 93 can be later sent to PC using RS 232 port. 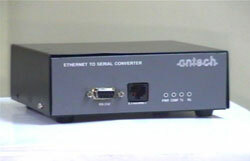 RE 93 has output port for connecting to reader port of CNC or puncher. 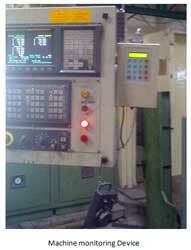 RE 93 can respond to CNC exactly as reader responds to CNC and send NC data to CNC electronically. It generates sprocket signal for certification. If puncher is connected to this port RE 93 will drive puncher so that paper tape can be punched out. RE 93 can emulate following interfaces as on today and can be configured for any other interface if necessary timing diagrams are available with the customers.